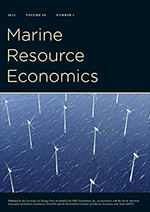 Environmental Economics: Another fiscal stimulus jobs overstatement? Another fiscal stimulus jobs overstatement? The $825 billion stimulus plan presented this month by House Democrats called for $37 billion in spending in three high-tech areas: $20 billion to computerize medical records, $11 billion to create smarter electrical grids and $6 billion to expand high-speed Internet access in rural and underserved communities. A study published this month, which was prepared for the Obama transition team, concluded that putting $30 billion into those three fields could produce more than 900,000 jobs in the first year. The mix of proposed spending is different in the House plan, but the results would be similar, said Robert D. Atkinson, president of the Information Technology and Innovation Foundation, which did the study. Using something I call "math" and the 1.5 government spending multiplier from the Romer-Bernstein report, the high tech spending will generate $45 billion in GDP, about one-third of what it takes to generate 1 million jobs. The number of jobs created might be closer to 333,333 than 900,000. It could be that the estimate rather uses the rule of thumb that GDP is income and the average job in those sectors earns $50,000. Then, $45 billion divided by $50,000 is 900,000 jobs. But this rule of thumb ignores the other sources of income generate by GDP: profits, etc. It also could be that high tech spending generates positive economic spillovers relative to traditional public works spending, generating additional jobs along the way. But, these positive spillovers would kick in long run, not in the first year of spending.